Hey boys, I want to start off with one short, quick sentiment: I’m sorry. I’m sorry that you guys have to go through this. God knows it’s not what you signed up for when you committed to being a Blue Hen. More so than other students, student-athletes may have something on their minds other than academics when they set foot on a college campus. At first, Delaware offered you an opportunity to live out what very well may have been a lifelong dream for you all. Playing college ball is the sports ceiling for most of you, and at the time you committed, this probably looked like a team primed for both contention and stability in a mid-major conference. But now, you’ve been assigned a purgatory you did not choose. It’s been hoisted upon you by an administration that, despite their best intentions, has entirely forgotten its responsibility to its players, the very people who create the product they sell. The easy defense for the Athletics Department is to claim they are taking their time to find the right person to lead you players. If they get him or her, great. I’ll be the first to congratulate them and you and hey, maybe even the first on the court to celebrate the title. It still won’t excuse what’s happened so far. Don’t let them off the hook like that. Results do not validate process, and don’t allow any positive results to influence your opinion of what has taken place over the last several months. This has been a stunning display of confusion and negligence from the Athletics Department, an embarrassment that necessitates hesitation and skepticism when analyzing any future decisions. Not that it has impacted them, of course. No, nary a head has rolled since Eric Ziady and Monté Ross were ousted. You are the ones who have suffered here. You are the ones without direction or answers. You are the ones in limbo. I love this school, and I love its sports programs. But this debacle has left the worst of tastes in my mouth. The lack of transparency throughout the process has been egregious, and this is not just some media member whining. To not tell me what is happening when I ask is arguably the smart, albeit frustrating, move. To not tell you is a problem, particularly when the rest of the country is laughing at two straight empty recruiting classes and the team is staring down the barrel of possibly just four scholarship players still playing next year. All that being said, I leave you with one final note. Leave. Get out while you can. If you have the opportunity, take it. Escape the Titanic while you still have some eligibility. I wouldn’t dream of sacrificing my body for this administration after the way they have treated this situation, and you by extension. I love Delaware, just like I’m sure you do. But it’s time to send a message. You’re out. Nicole Enabosi to miss 2018-2019 season due to ACL tear. Well written, as a fellow student and fan of UD basketball I could not agree more. If you knew anything about the Men’s basketball program, it has been a mediocre team for close to 20 years. If a player is now suddenly shocked that Ross was fired, the AD and coach situation are in flux then they clearly didn’t know what they signed up for. These kids agreed to go play for a school and to get an amazing opportunity for FREE! They are playing D1 basketball, they have an amazing training facility. For you to say “Get out while you can” is disgraceful. 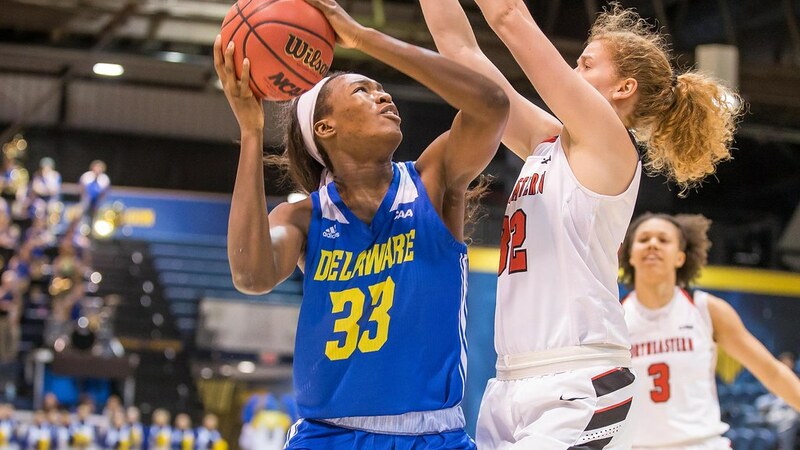 When a student athlete agrees to play for a school that is exactly what they signed up for, to play for Delaware and get an education. Coaches, AD’s, Presidents all can come and go and if they didn’t realize the situation they signed up for than Monte Ross was the greatest salesman ever.